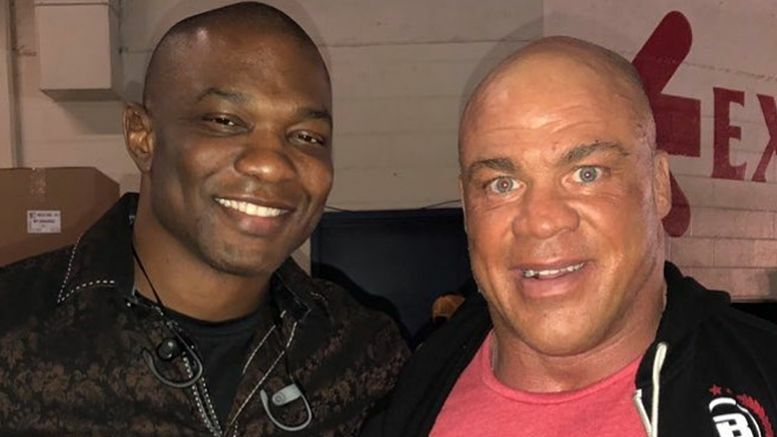 Oh, it’s true … it’s damn true … Team Angle had a semi-reunion backstage after Monday Night Raw. For those who missed it … Shelton’s tag partner Chad Gable, as well as a few other wrestlers, were moved to Raw during the Superstar Shakeup in a post-show announcement. Would you want to see Team Angle in the ring next time? Sound off in the comments. A little Team Angle Reunion tonight. #AngleBenjamin #whereisHaas ? ?